Ski-touring, that’s walking - skinning in skiing terms - the mountain up and then skiing it down. 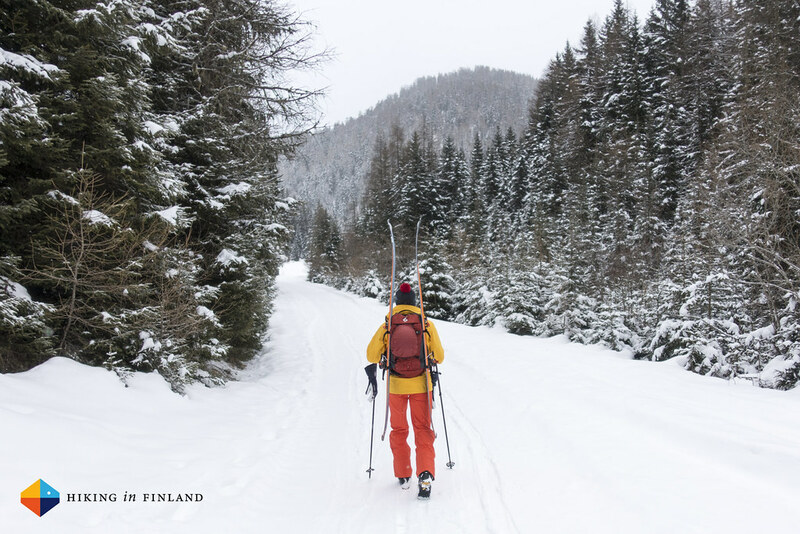 It’s a great way to enjoy the mountains in winter and has similarities to hiking. But much unlike the light trailrunners I use from spring till autumn, in winter you need a ski boot. Happily I found after much research & pondering a boot which is light and performs great on the way up & down. 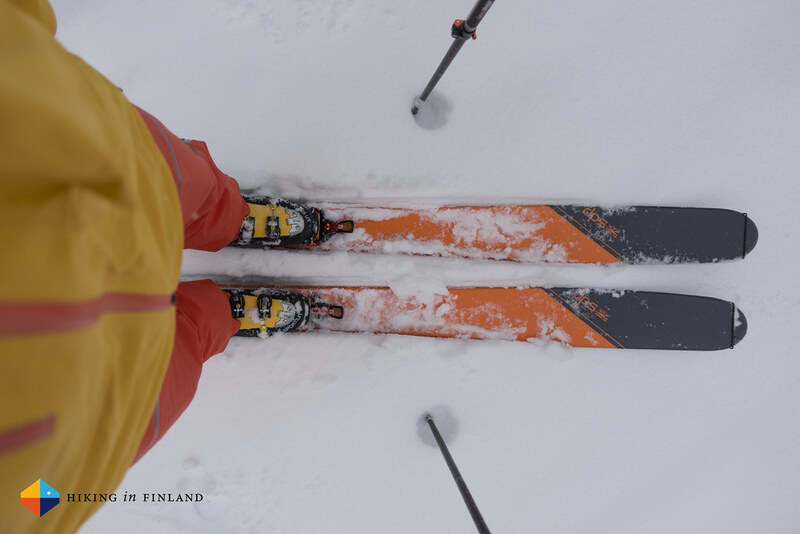 I bought the Spectre after much research last November from the Bergfreunde, and have used it ski-touring in Canada, Finland, Austria, Switzerland and South Tyrol since, all in all over 20 days. It coming along to Lyngen next week, too! 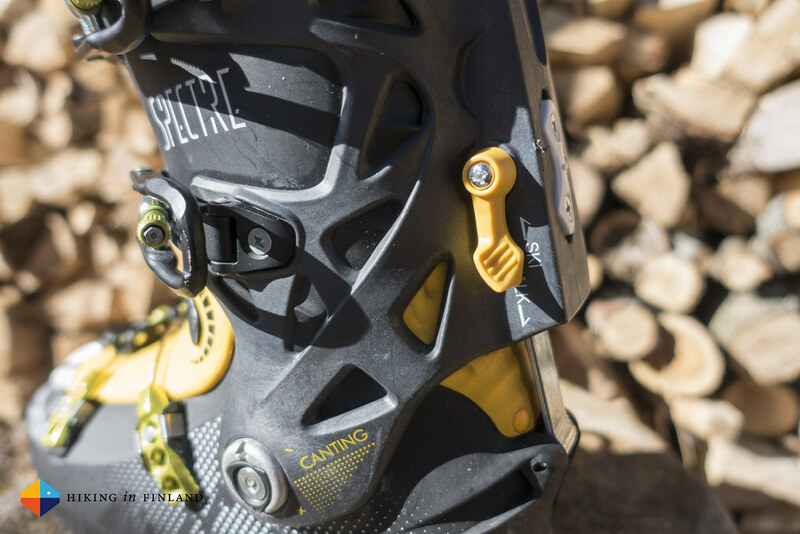 A ski-touring boot has two modes: A Walk mode for skinning up the mountain and a ski-mode to come down again. 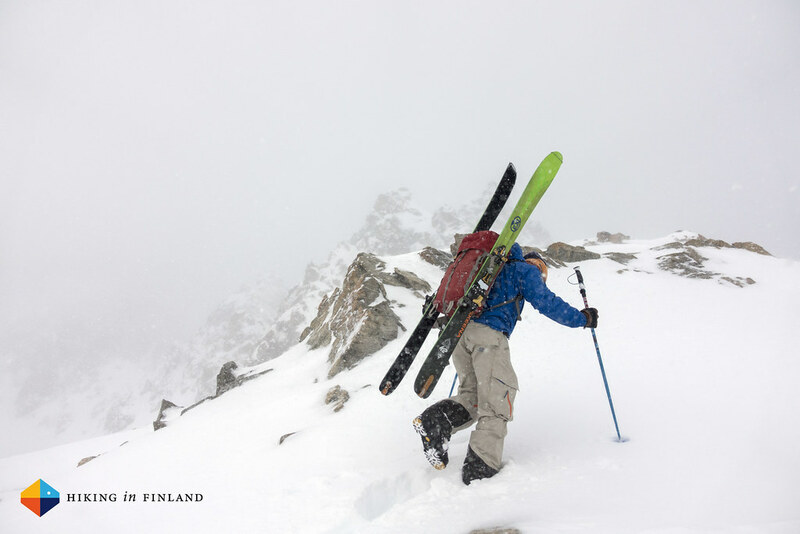 The walk mode gives you freedom of movement for sliding the ski forward while you skin up, and the ski mode makes the boot stiff so you can transfer your power onto the binding and ski. 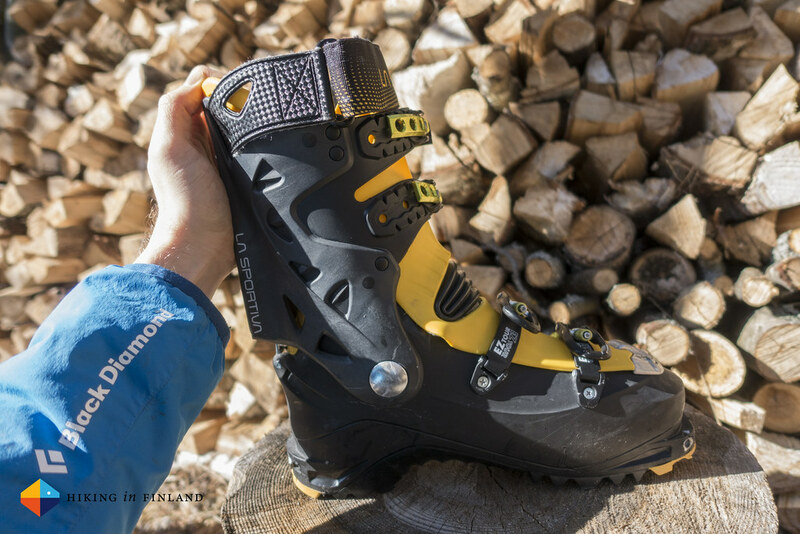 Normal Alpine Skiing boots miss the walk feature, and while you might be able to skin up short sections for serious ascents you want a ski boot with a walk mode. In the box you’ll find besides the boots two optional laces which allow you to get a tighter fit of the liner on your foot, two insoles, a few patches and tools. The Pegasus Buckles, which are flat when open which means they don’t snag on stuff close to your feet, and can comfortably be worn underneath your pants, are great. The buckles on my other ski-touring boot don’t lay flat so these are definitely more convenient in use. Additionally you can Micro-adjust the buckles for a perfect fit. 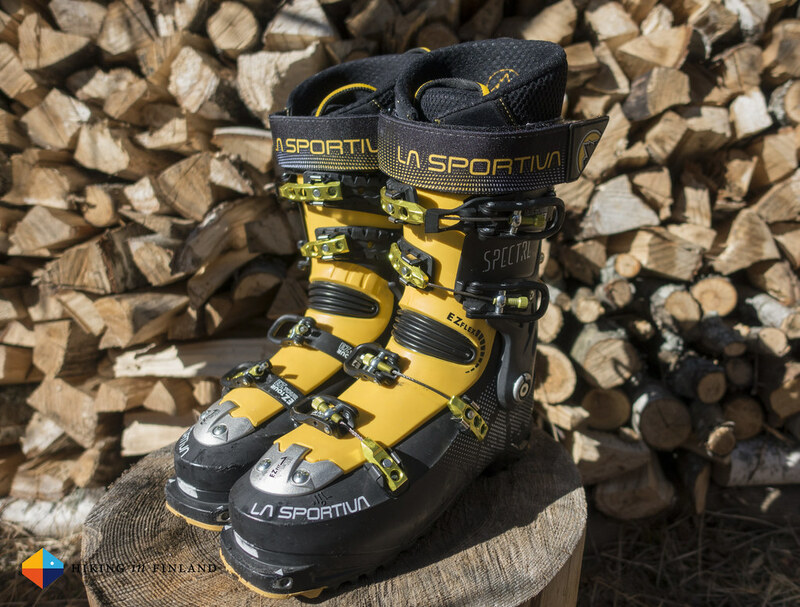 The very low weight for a four-buckle boot is also a great achievement by La Sportiva. I haven’t been easy on the boots, and they have flown several thousands of miles across the globe in my Douchebag, skied and skinned thousands of meters, climbed ice in them and walked through town in them, and they still look good and only have minor scratches. My Size 26.5 Spectres weigh with liner 1374 g, that’s 240 g for the liner boot and 1134 g for the shell. 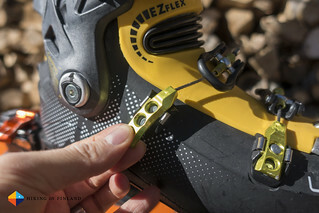 The Arc’teryx Procline Carbon Lite Ski Boot is lighter, but I haven’t used it yet. 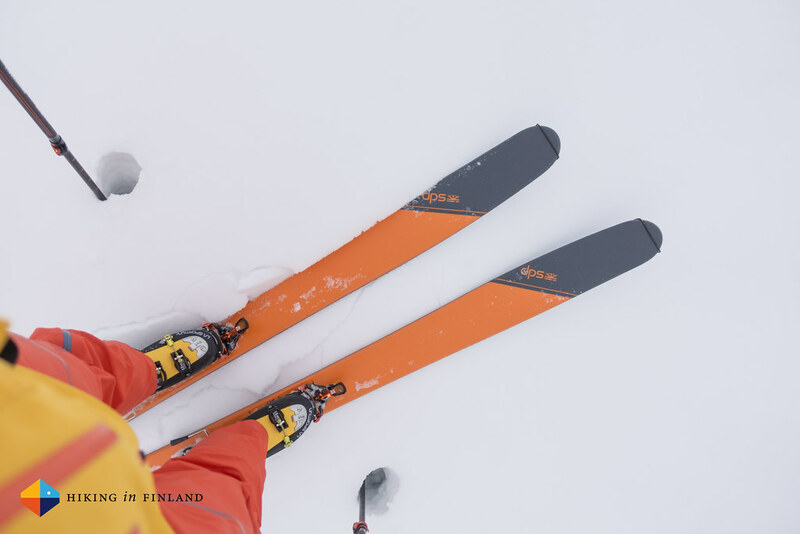 My experience is based on skiing the Spectre with DPS Wailer 99 Tour1 Skis and G3 ION 12 Bindings. There’s plenty of opinions on the Spectre - from people that really dislike the boot to ones that love it, and everything in between. There’s two things why I don’t love the boot outright: And that are the two blisters on my feet. After hiking in Trailrunners for over seven years, climbing in Mountaineering boots for four and XC skiing in good boots since six years I haven’t had blisters anymore. But on my second ski-touring trip this year to South Tyrol and Salzburger Lungau, on the second day blisters appeared on the inside of my ankles. Compeed helped in allowing me to ski the next few weeks, but even after the blister healed they were there again after a day of skiing on the next trip. Blisters are no fun, and while I happily bite my teeth together and continue to wear the boots I think I either will need to go with them to a good boot fitter (which, sadly, we don’t have in Vaasa) or try my hand at modifying the boot on my own; and as it is made from Grilamid which tends to hold its shape once punched (unlike Pebax, another plastic which is often used in the construction of ski boots) that might be a good option too. These problems came after moulding the liner twice and the shell once, by the way. 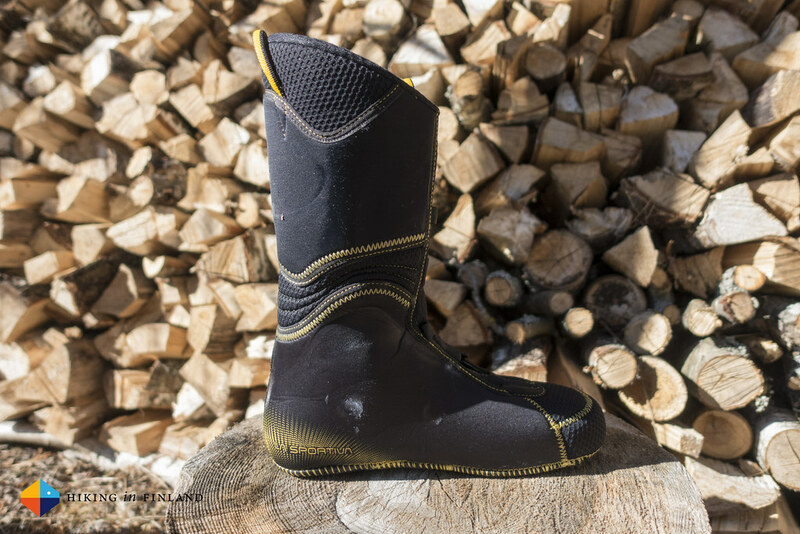 Getting into the boot is easy for me, I have narrow feet and wear medium-thickness to thin skiing socks, and the shell has a medium to narrow heel fit, a narrow instep and has a medium forefoot last. The top buckles can be moved out of the way for easily getting in (and out) of the boot. After a day of touring getting out of the boot needs a bit of pulling - nothing difficult, though, and if I open all buckles it’s super-simple to get out. 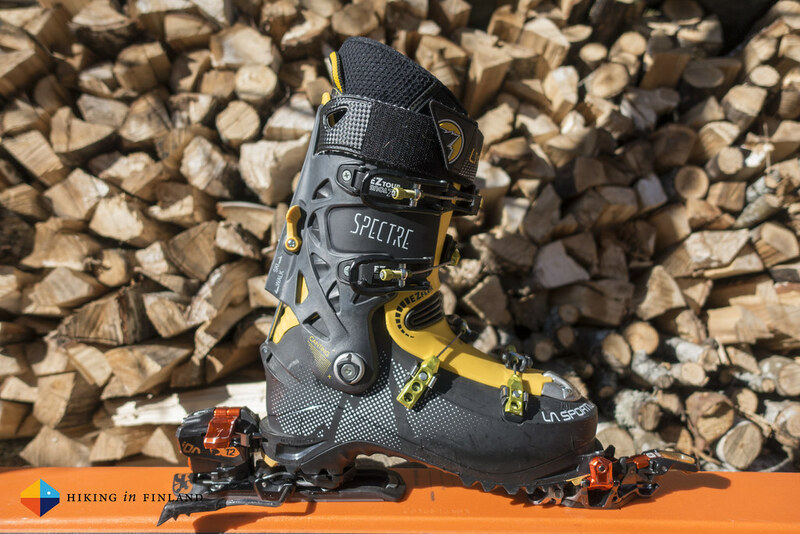 It’s recommended to play around with the boot and find the right adjustments for your style of skiing, and as the Spectre allows a host of possibilities to adjust it to your foot & style - take the time to do it, you will have more fun in the long-run. 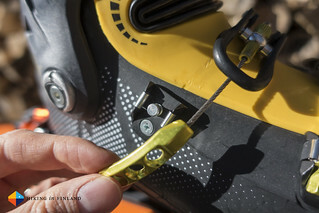 Stepping in to the pin-binding of your choice is easy thanks to the two indicators on each side of the boot, these make it easy to align the boot with the pins and then push down so they snap into the fittings. Other reviewers seem to take issues with the buckles. Yes, they’re different: You can micro-adjust them to your needs via the screw, and it takes some learning to get the hole placed over the stud - and it won’t snap over it unless you get the alignment correctly. I didn’t have any issues with them and found the system easy, and you can even adjust the buckles when you’re in the boot. I really liked the low profile buckle design which fits perfectly under the ski pants and does provide a cleaner profile & prevents trees, rocks and stuff from catching the buckles, which protects them from being damaged and makes them last longer. The Liner is warm and I never had cold feet in them. I needed to add the included lacing for them to move less on my foot while touring. It has a flex zone that helps in touring mode. The two loops at the front and back make it easy to pull the boot on. The liner keeps your sweaty feet smell well, so if you’re a connoisseur of such things you’re in luck. Otherwise you might want to dry and air them well before taking them in. 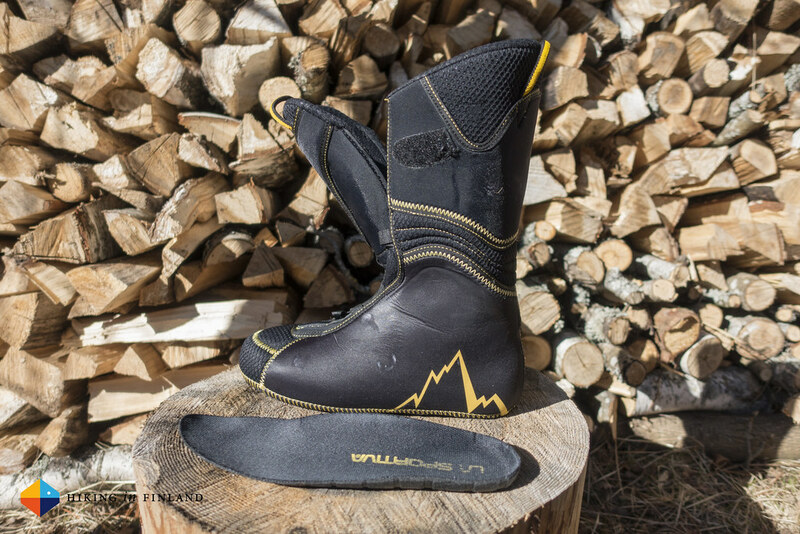 The sticky rubber sole is great and allows for great grip when scrambling or walking in town and slippery ski stations. 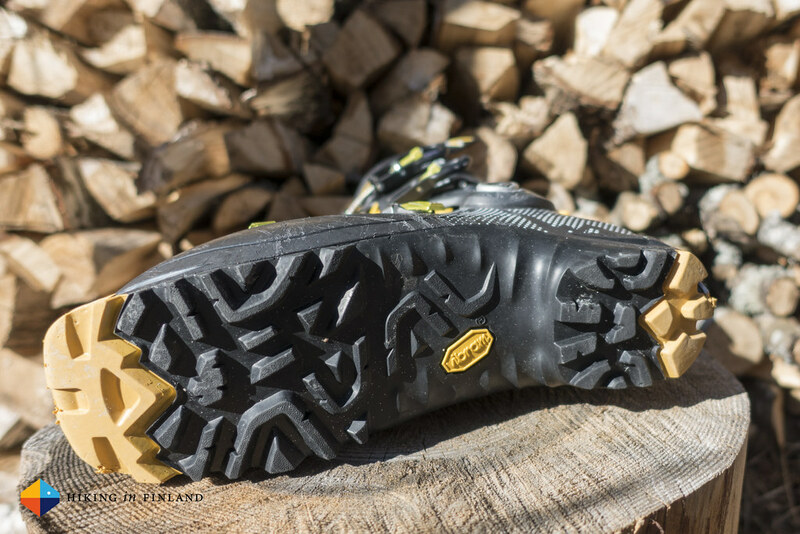 The yellow areas at the toe and heel are more durable, and the higher arch minimizes snow-build-up in my experience. 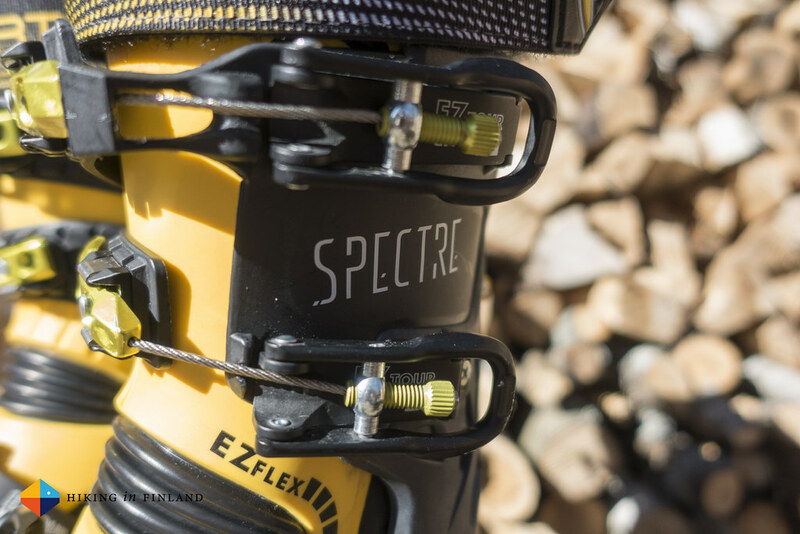 The Spectre is crampons compatible and my CAMP XLC Crampons are a great companion with them and make for an ultralight ski-mountaineering setup. Alright, so getting in the boot is all swell, skinning up is great because the boot is light with a great range of motion, but what about switching into ski mode at the wind-blasted summit and the descent? I’m happy to report that it takes only a minute, it at all, to close all buckles and switch the boot into ski mode and if you have a wide ski pants you can even do it while the pants and snow-gaiter are down over the buckles (I have been using a Norrøna Lyngen softshell pants and a Arc’teryx Stinger Pants which both allowed to do this). Fussing around with boots at a windy & cold summit is no fun, even less if you need to take the gloves off, and with the Spectre I was quickly ready to ski down. I found the Spectre a stiff boot when tightly buckled down for the descent, and find it has good control and power transmission that could easily control my fat DPS Wailers on almost all snow conditions (hard, icy slopes in resorts are tough and my skis started flutter, but that’s another story). Buckled down the boot still had plenty of room in the toe box for warm toes, I haven’t experienced any shin bang which I thank the Booster Strap for, and the black EZ Flex area on the tongue gives a nice flex in downhill mode. Some 20+ days are not really yet enough to give a comment on durability, so I will save that for a later time. But what’s worth discussing is the price of the Spectre. If you have read till here you might think that such a lightweight, innovative boot probably must cost a little fortune. Well, it does not. The regular, recommended price is around 490€ - but thanks to never-ending sales you can pick up the Spectre for as little as 370€. Even at the recommended price it’s an affordable ski boot, and if you can get it with a discount it is a lot cheaper than many other boots. 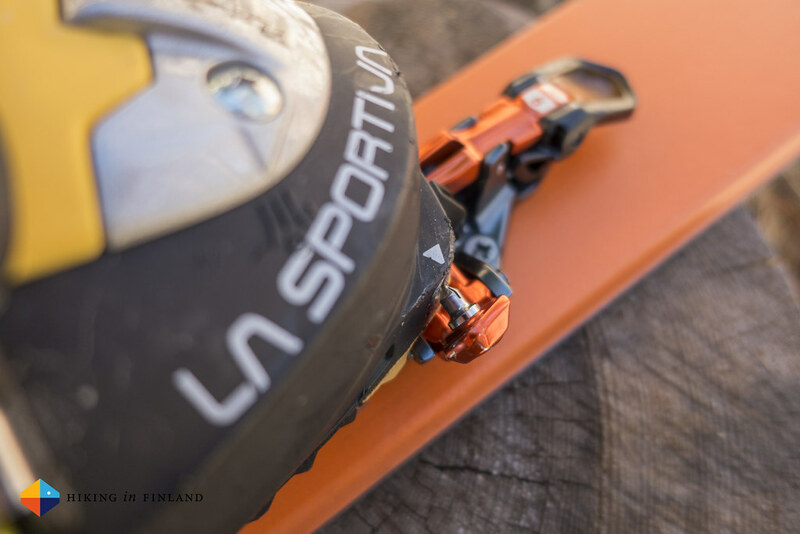 La Sportiva decided to update the Spectre for 2016/ 2017, which should address some of the issues described above and allow for even more customization. Even if I try hard, I can not imagine something to complain about this boot - I think the blisters are something that just happened and because I want to keep these boot it is something I need to find a way to solve & life with. There’s a wide variety of ski-touring boot available, I myself also own the Scarpa Maestrale RS, and many people like the Dynafit TLT 6. In the end you should follow my final advice in the bottomline when it comes to buying boots. I decided the buy the Spectre because it is the lightest four buckle boot and would allow me an easier time on the way up - where I’d need to move the 1374 g per foot hundreds of times - and great control on the way down. So far it has performed great, and aside from the blisters which I hope to solve with some punches on the shell I imagine the boot will accompany for the next few ski-touring seasons. 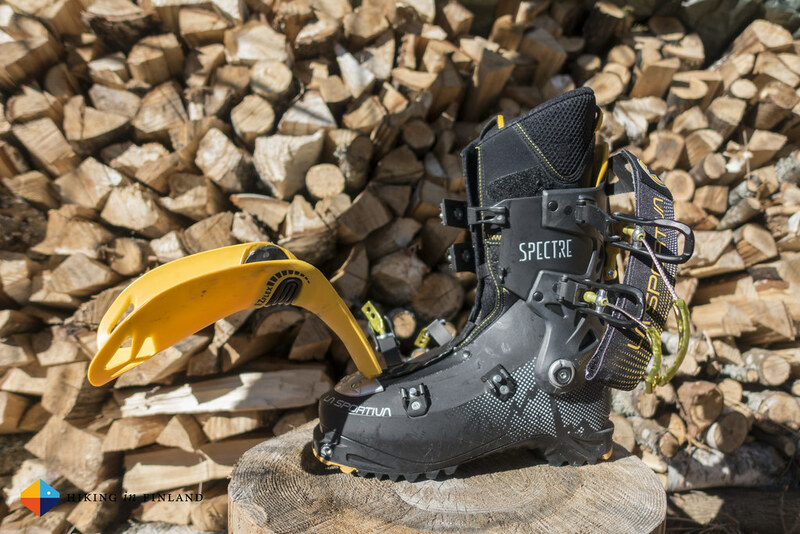 The Spectre is comfortable & light on the way up and performs great on the way down, especially in powder. I love the low buckle design as they fit very well under my ski pants, the comfortable walking in town, and the cool look of the boot is also something I don’t get tired of. 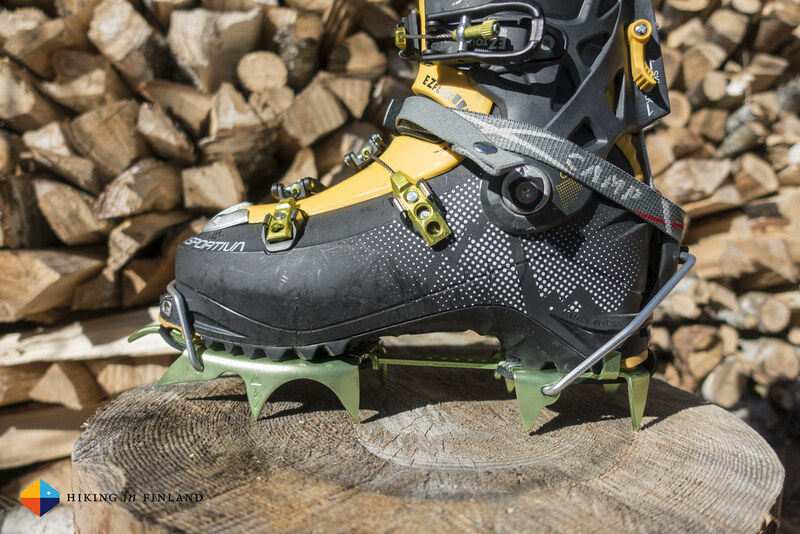 The light weight also make them good for climbing, be it rock or ice. Add in the amazing price and you have a boot which I am very happy with! But the ultimate Bottomline for ski-boots is simple: If the boot fits and is comfortable, buy it. 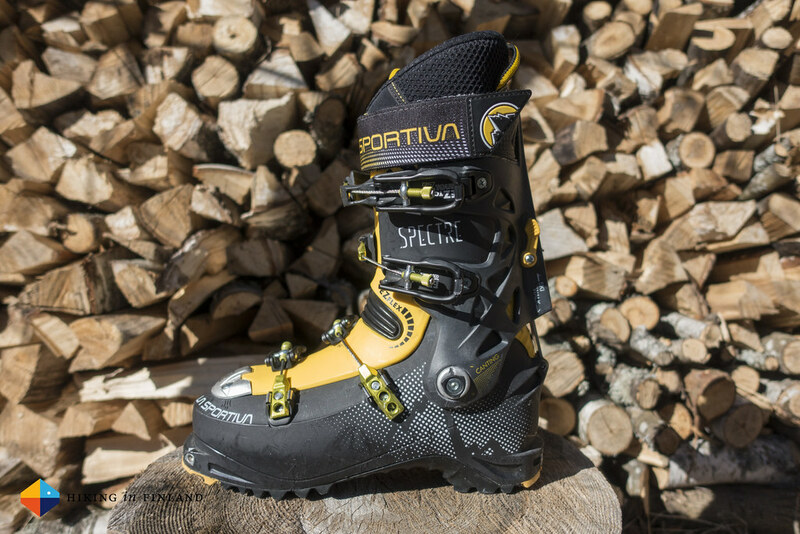 You might have the luck that your feet fit the Spectre out of the box, or they might not suit you at all - the general wisdom for ski boots is to buy a boot that fits you well, because everything else might end up in pain. 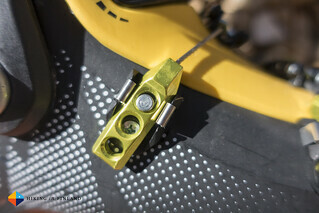 Check the over 40 detailed photos of the boot from all angles on the La Sportiva Spectre Album. As most shops are getting ready for summer you can get the La Sportiva Spectre currently with some good discounts. The Bergfreunde.co.uk have them 25% reduced right now, and at Backcountry.com they’re 35% off. Disclaimer: I bought the La Sportiva Spectre with my own money but got a wee discount from Bergfreunde. This does not influence the article as I maintain full editorial control of the content published on this site. Read the Outdoor Blogger Codex for more information on blogger transparency.